For management of common soil diseases and larger, healthier, more effective root systems. A beneficial soil inoculant containing active spores of Trichoderma harzianum. 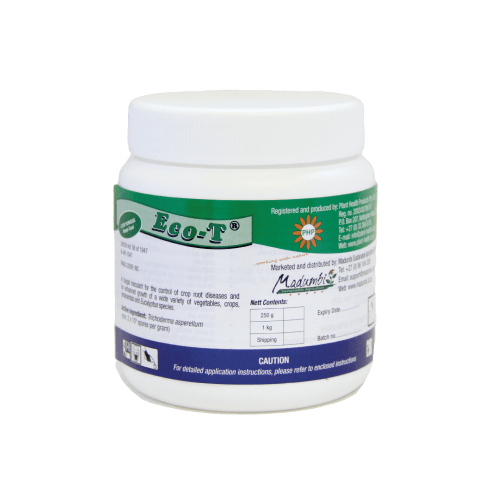 Eco-T is a registered biocontrol agent for common soil diseases including Fusarium, Rhizoctonia, Pythium and Phytophthora. It also promotes growth of healthy root systems. A cost effective insurance policy against a wide range of root diseases. Enhances root growth. Treated root systems are denser, well developed and more extensive. Better access to and delivery of nutrients. 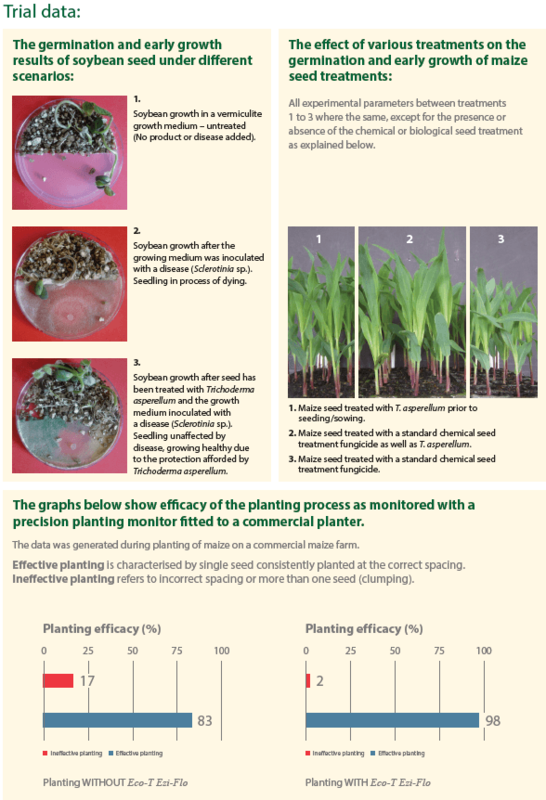 Improves germination offering faster seedling development. In general, treated crops are healthier and more productive. Ideal for use in IPM programs and following soil sterilisation. Versatile, Eco-T can be applied as a seed treatment, in furrow or as a soil drench and is effective on a wide range of crops. Eco-T Ezi-Flo is designed for use with mechanical planters offering additional benefits to planting efficiency. More even plant stand, no more skipped or doubled seeds and up to 12% more seeds planted per Ha.